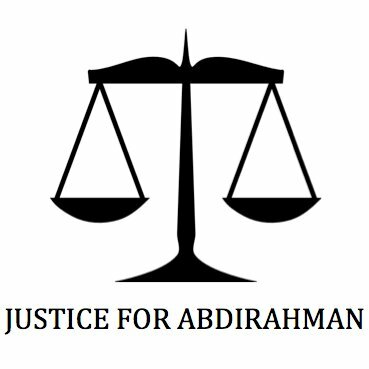 (Ottawa, April 7, 2017) The Justice for Abdirahman Coalition (the Coalition) is endorsing the recommendations coming out of the Independent Police Oversight Review, led by Ontario Court of Appeal judge Michael Tulloch. Despite some criticism of the report by key voices in this space concerning the current practice of withholding the names of officers cleared by Ontario’s Special Investigations Unit (SIU), the Coalition is endorsing the full suite of recommendations calling it a well-researched, balanced report with sound ideas to move forward. “When we met with the Justice, releasing the names of offending officers was one of our recommendations and we did speak at length with the Justice on this item” said the Chair of the Justice for Abdirahman Coalition . While we do feel strongly that names of offending officers should be made public, we understand the legality around this issue and cause for caution. This said, we do want to see this item explored further looking at alternative solutions such as a restricted database to hold these names for accountability sake” she added. Justice Tulloch’s recommendations come at a crucial time in our province when there have been numerous cases involving police misconduct and mistreatment of citizens, which has unfortunately led to growing deterioration in trust and confidence between the police and the communities they serve. “If fully implemented​, we believe these recommendations could help meaningfully address the concerns around transparency and accountability, and start rebuilding public trust” said William Felepchuk, member of the Coalition. “Abdirhaman Abdi’s violent death of July 2016 at the hands of police was the straw that broke the camel’s back. Police oversight has long been a problem in Ontario, but Abdi’s death forced the conversation to a deeper level with public confidence in the system nearly diminished” added Felepchuk. During the consultations phase, the Coalition met Justice Tulloch and provided a detailed report with concrete recommendations on needed reforms. “We are very encouraged to see that many of the recommendations in his report mirror the proposals we’ve put forward. We are particularly pleased to see recommendations around legislation, meaningful disclosure, data collection and ending ‘police investigating police’” said Ahmed. The next phase will concern the implementation of these recommendations. Concerning the Attorney General, Yasir Naqvi’s response, the Coalition is expressing disappointment that he did not commit to implementing the full suite of recommendations. “These were excellent, well researched, well thought out, balanced recommendations. We see no justifiable cause for concern on any of the items.” said Ahmed. The Attorney General of Ontario has legislative authority for the three police oversight bodies. Having received such a comprehensive review of the bodies in question, the responsibility of taking Ontario in a direction of police transparency and accountability falls squarely on the shoulders of Mr. Naqvi and Premier Kathleen Wynne. Ontario’s leaders must rise to the occasion. In the meantime the Coalition is calling for all party support of these recommendations and will be watching closely for an implementation plan.